No license needed! It is classified as a toy as of December 2017. As of December 2017, the Department of Home Affairs in Australia has re-classified gel blasters as a toy and not a firearm. 100% legal to purchase from reputable businesses, legal to own and no license is needed. Classified as a toy however some of the gel blasters may be considered as an imitation firearm. It's advised that customers need to consult with their local law enforcement. All items are in stock unless stated otherwise. Demand is high and if we are sold out it's best to pre-order so you go in the queue to secure your blaster. When an item is out of stock we open pre-orders. In this time. more stock is on the way and we give you the chance to put a pre-order through so we can allocate the stock to you. Once you pre-order, the item is guaranteed and is secured! We don't sell it to anyone else. If you want the item, we definitely recommend pre-ordering as stocks do sell fast and gets pre-sold in advance. How do the gel balls work? The gel balls arrive to you dehydrated in a small packets of 10,000 balls. Add the gel balls to water for at least 4 hours and the balls will grow to 7-8mm. One packet of 10,000 will grow perfectly in a 3L bottle. When the ball is shot from the gun it explodes on impact in small pieces like jelly. The gel dissipates after a short time and leaves no mess to clean up! It is also non toxic. Please make sure to hydrate the gel balls for a minimum of 4 hours and drain the excess water from the gel balls when loading your magazine. How do I store the balls? The gel balls need to stay in FRESH water to stay hydrated to size. You can keep them in water as long as you want. It's usually the water that you need to keep an eye on. Make sure the gel balls are always soaked and the water is fresh. For long term storage, put the gel balls in a sealed container or bottle in the fridge. Failure to do so, the balls will shrink unless kept in water or stored properly. If the balls shrink, you can hydrate them again however it won't be as firm and you may encounter feeding or performance issues. Make sure to also empty the magazine and clear the chamber to avoid blockages. Yes, 100%! It's non toxic, environmentally friendly and leaves no mess, residue or stains. We are based in Brisbane, QLD. 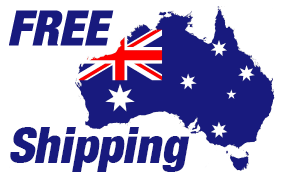 All orders are shipped from our warehouse in QLD. Yes! We welcome you to visit our store in Brisbane to view and test our range. If the item is shown in stock on the website, we will have it available in store to purchase. It may sell out quickly, so we suggest you to purchase online and select "pickup" upon checkout to secure your blaster for pickup.